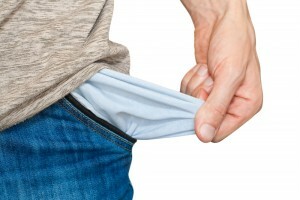 What should you do if you can no longer afford a CCJ? We all know that your budget can change often, which is why we recommend that you review it regularly. More often than not it’s because priority bills have increased which leaves you with less money available for other expenses. This can be really worrying if you have a county court judgment (CCJ) as it’s important that you stick to the payment that you’ve agreed to avoid any further enforcement action. But don’t worry, these payments aren’t set in stone and provided that you follow the correct procedure and your budget supports your new offer of payment, it can easily be changed. If your circumstances have changed and you can no longer afford the monthly payments, you can apply for a reduction using an N245 form. The N245 is completed in the same way as a county court claim form. It’s important that your figures show clearly what you can afford to pay. You will have to pay a fee to the court with your application but if you can’t get to the court to make the payment, you can send a cheque or postal order made payable to HM Courts & Tribunal Service. If you’re on low income or certain benefits you may be exempt from the fee. If the variation is accepted you will receive a form entitled “Judgment for Claimant” (by variation). Sometimes changes can happen soon after the payment is decided by the court or you might not be happy with the payment. If less than 16 days have passed since the date of the postmark on the letter and you can no longer afford the payment you can apply to the court to look at your offer again. This is known as a ‘redetermination’ and there is no fee. You will need to write a letter to the court attaching your personal budget and explain clearly why you disagree with the order the court has made. You can use our template letter (PDF) to help you. The re-determination will be carried out by a District Judge (DJ). If the order was made by the court staff, the DJ can decide to have a hearing or simply make a decision by looking at the papers. If a DJ made the original order without a hearing then the re-determination of the offer must be decided at a hearing. If a DJ made the first order at a hearing, you can’t apply for a redetermination but you can apply for the monthly payments to be reduced or ‘varied’ with an N245 form (as explained above). You can ask for a hearing when you write to the court to ask them to look at your case again. If there’s a hearing, the case will automatically be transferred to your local county court so you can attend. You will be given a hearing date which you must attend. It should be in the District Judge’s chambers and you’ll need to take a copy of your budget sheet with you. If the redetermination is accepted you will receive a form entitled “Judgment for Claimant” (by redetermination). If a you apply for a CCJ to be re-determined you’ll need to keep up with the payments set under the original terms of the CCJ until you receive notice that the redetermination has taken place and what the new payments are. If you miss payments on a CCJ, even if you’ve applied for redetermination, you’ll have defaulted on the CCJ and this will allow the court to take further debt collection action to reclaim the debt. If you’re struggling with debt repayments or have had CCJ forms through the post and you’re not sure what to do, get in touch with us and we can advise you on your options. What do you say to your kids if you can’t afford something?